Tips to Prevent Cough, Cold, & Flu! There are no known cures for colds and flu, so cold and flu prevention is key. 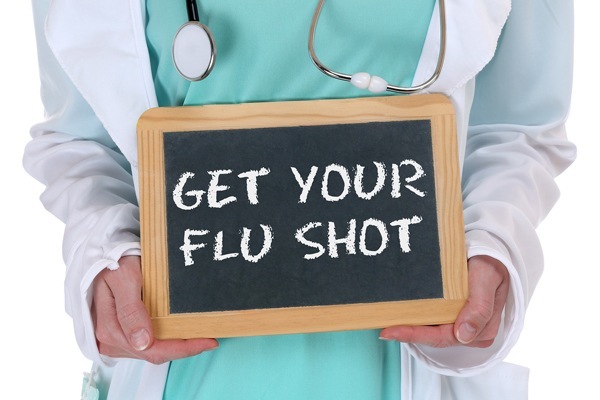 The CDC (Centers for Disease Control) recommends a yearly flu vaccine as the first and most important step in protecting against flu viruses. A proactive approach to warding off colds and flu is apt to make your whole life healthier. Wash Your Hands Often: Most cold and flu viruses are spread by direct contact. Wash your hands often and/or use an alcohol-based hand sanitizer. Drink Plenty of Fluids: Water keeps the tissues of the respiratory system moist and helps the immune system function properly. Do Aerobic Exercise Regularly: Moderate exercise – 30 to 90 minutes most days of the week increases immune function and reduces your chances of catching a cold. Control Stress: People who are experiencing emotional stress have weakened immune systems and are more likely to catch a cold than their calmer counterparts. Don’t touch your face: Cold and flu viruses enter your body through the eyes, nose, or mouth. Touching their faces is the major way children catch colds, and a key way they pass colds on to their parents. Some studies have shown that eating a daily cup of low-fat yogurt can reduce your susceptibility to colds by 25 percent. Phytochemical are natural chemical found in plants that give the vitamins in food a supercharged boost. Eat dark green, red, and yellow vegetables and fruits. 100% orange juice provides a good source of potassium for a healthy blood pressure, folic acid and an excellent source of antioxidant Vitamin C, which has been shown to help support a healthy immune system. Eat Soup! Did you know? Chicken soup can be a cold and flu fighter! Studies have shown that chicken soup specifically can thin mucus secretions. The vegetables in soup will give a healthy does of antioxidants to support a healthy immune system and the noodles will give you much needed energy from carbohydrate. Heat 2 teaspoons oil in a large saucepan or Dutch oven over medium-high heat. Add carrot and chicken; cook, turning the chicken and stirring frequently, until the chicken begins to brown, 3 to 4 minutes. Add garlic and cook, stirring, for 1 minute more. Stir in broth and marjoram; bring to a boil over high heat. Reduce the heat and simmer, stirring occasionally, until the chicken is cooked through, about 5 minutes.